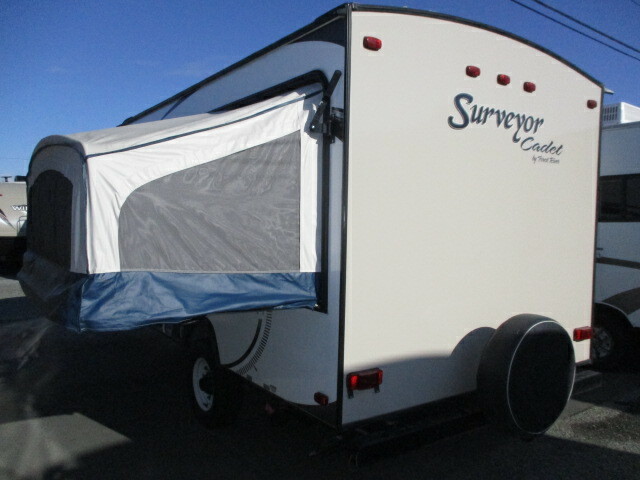 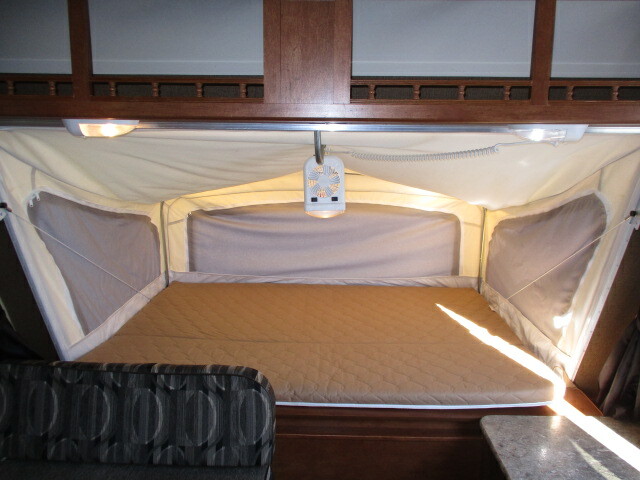 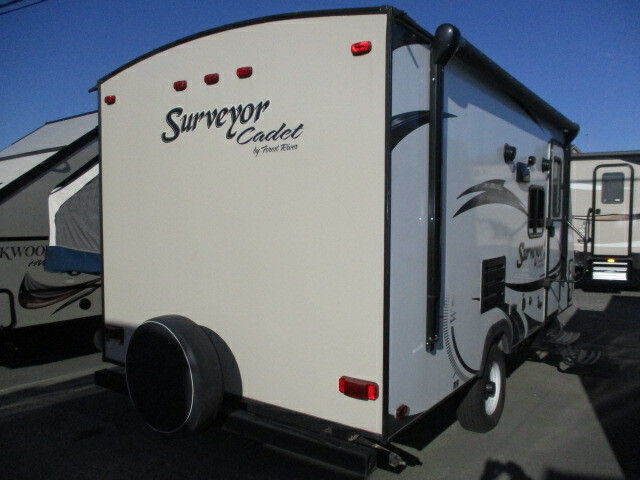 The Surveyor Cadet expandable SC-191T by Forest River offers a front and side queen tent bed. 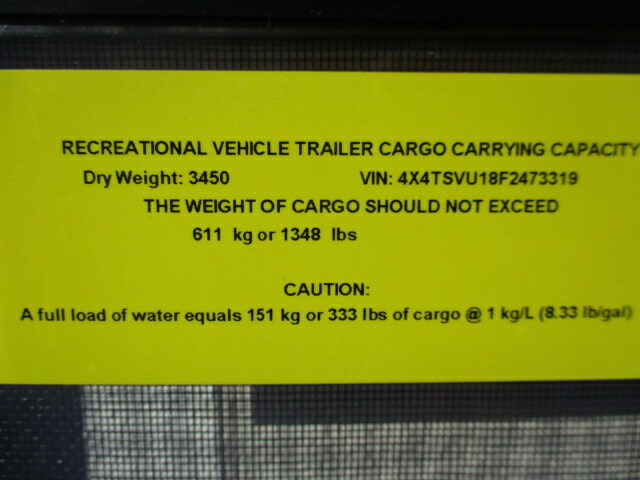 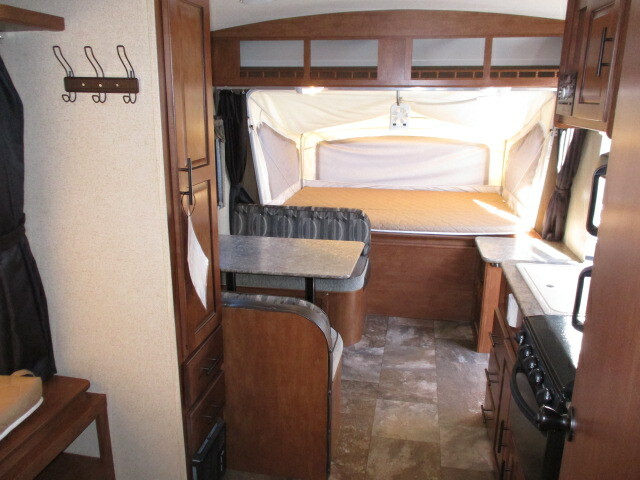 As you enter the expandable, to the right there is an entertainment center. 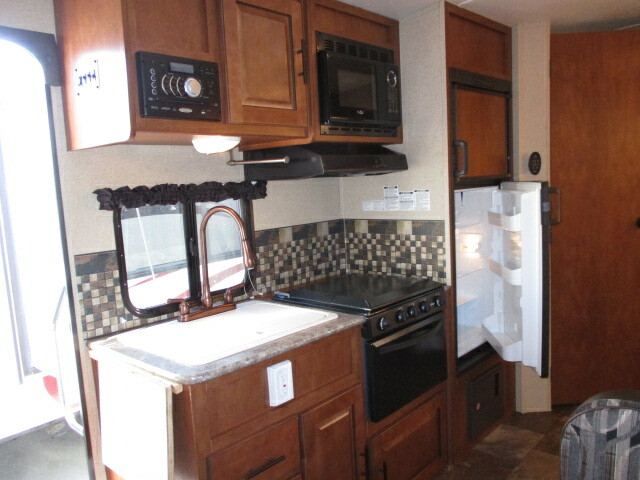 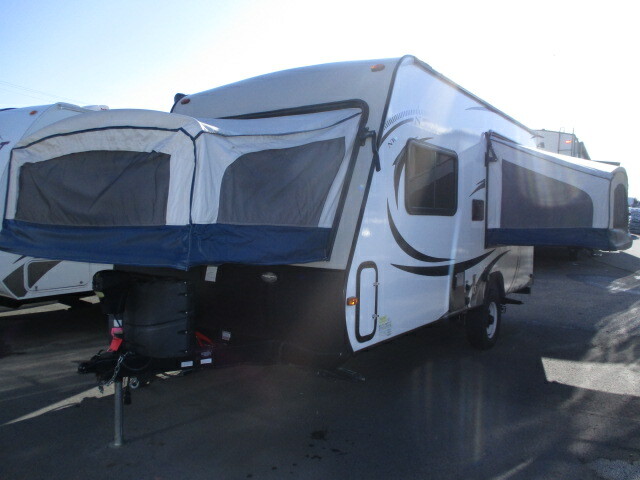 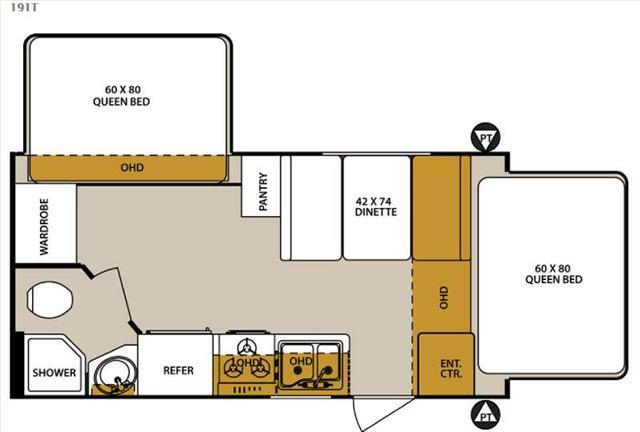 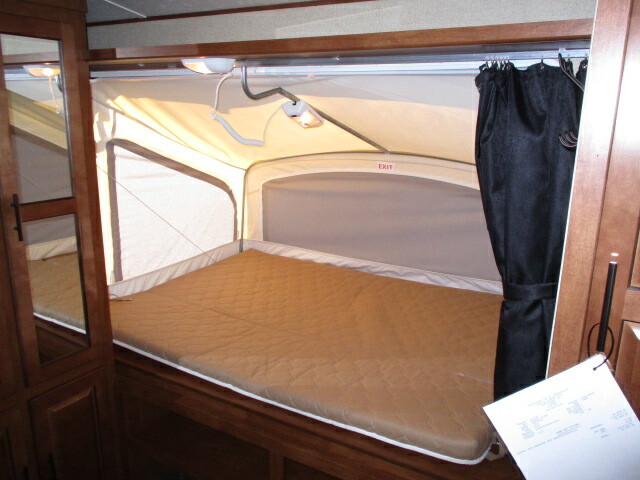 One side of the expandable has a double kitchen sink, three burner range, and refrigerator. 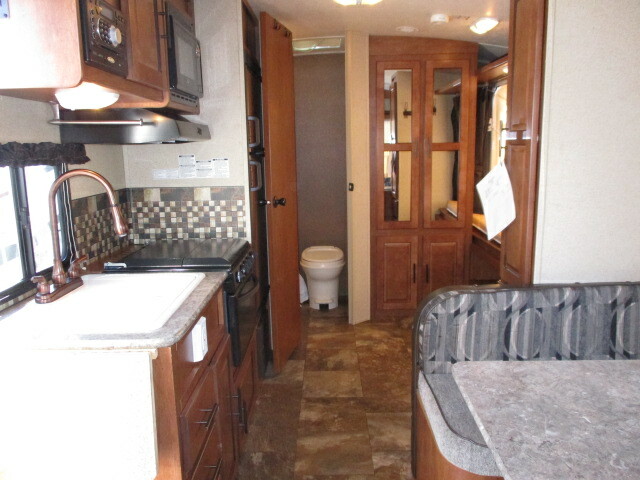 The other side has a dinette and pantry.I n the rear you will find a bathroom with a sink, corner shower, and toilet. 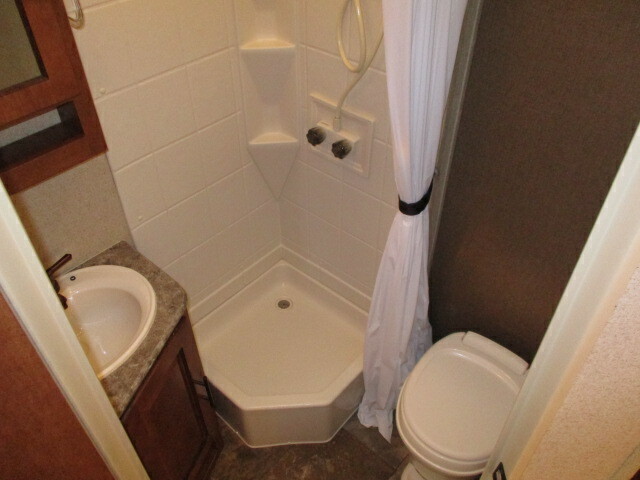 There is a nice size wardrobe next to the bathroom.